The newspapers and the tourist trade have made much capital out of the Loch Ness Monster, and there are people who go to the Loch in the hope of seeing something rear out of the water, sharp teeth and all. We all love to be scared, and monsters fascinate us. But there are two irrational camps: the credulous folk who believe against evidence, and the skeptics who will not believe whatever evidence comes their way. The right way to approach this issue is to be open minded and look at what is presented to us. I am in this third camp. My opinion is that there is nothing unusual in the Loch, but there is an explanation of the sightings. The Loch [lake in Gaelic] is long and narrow, twenty two miles by half a mile wide and replete with masses of dark, peat stained cold water that has run off the Scottish mountains.. On the south shore it is quite shallow, but the north shore steeply dives to a nearly a thousand feet, and there are said to be deeper holes gouged in the ice ages, which reach below a thousand. On the steep side beneath the ruined Urquart Castle there are said to be caves that no diver has explored. A grim, quiet place full of mystery, on whose bed lie sunken boats and the occasional aircraft. 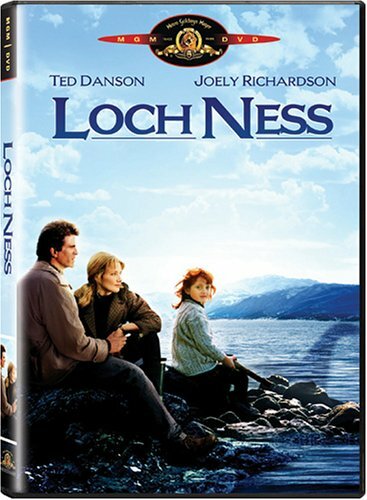 The reason for this peculiar variation in depth is that the whole Loch is based on a trapdoor fault that makes the whole Great Glen [Glen Mor] in Scotland, and Ness is but one of the three lakes that fill it. All three are linked by the Caledonian Canal that joins the North Atlantic to the North Sea. The slope is, I suspect, behind the difficult currents that flow through the loch. I have rowed on it only once, seeing no monster, but I found the cross current hard to handle, and I am not a bad oarsman. But my daughter's husband, an athletic fellow, one of whose trips was to canoe across Scotland along the Great Glen, found the water could be very difficult. He was moving along the deep north side, and the morning was fine, but as the day went on the north side became choppier and choppier, forcing the canoeists to camp, I cannot easily explain this phenomenon, but I think it due to the flow of water in the peculiar geology of the Loch, with cold water settling downwards in the night and then rising from depths as the day warms. but don't take my word on this, there are physicists who might describe this better than I can. The Loch's narrowness is behind some mistaken sightings. When a speedboat passes down the loch it sends a wake that bounces off each shore. The wake from each shore then returns to meet in the middle. Thus you see a line of turbulence moving down the loch, which looks like a series of humps moving along. Hence people claim to have seen the monster, but what they have seen is the standing wave. The first mentioned sighting of a beastie was in the seventh century, when it is said that a large fish was threatening some monks, but St Columba, reputed to have a loud voice, shouted and drove it away, but this story is linked to the river flowing out of Ness into the North Sea, and for hundreds of years no more was seen. There never was a mediaeval legend of a Loch Ness monster.Not even nineteenth century Victorians, ever keen on highland lore, had heard of it. The story hit the press in 1933 when some tourists driving along the Lochside road at night claimed to have seen a beastie that had crawled from the water. The press got hold of the tale, and it took on a life of its own. Soon there were monster pictures, all hoaxes; and there were genuine mistakes, when people mistook logs afloat in the loch for Nessie. Yet some sightings will not go away as easily. In the 1950s monks and schoolboys from Fort Augustus Abbey school who were fishing in the loch saw a brown back emerge from the water. They merely reported the incident and made nothing financially from it, so it is hard to make a claim of lies against them. Many echo soundings have been made and nothing conclusive came into sight.One sounding saw some large objects moving around at the bottom of the loch, but some scientists suggested that they were sunken logs, but this explanation is not proven. Only one photograph, which appeared to show fins on a fish, seemed to confirm the monster, but it was noted that there was no scale against which to gauge the size. So nothing has been proved or disproved at the moment. Some support for the theory that there could be something down there came in the 1980s when an angling boat in Loch Morar was attacked by a sharp toothed beast, which bit so hard into a metal oar thrust down its mouth by the frightened fishermen that it left teeth marks. Loch Morar is very close to the sea, only a few yards, so it is likely that what attacked the fishermen was a conger eel, but it soon gained the name Morag. If there could be a beast in one loch, why not in another? There is certainly a case. Stories of lake creatures began to appear in Ireland when some anglers saw a large back emerge from the water in Lough Rea, but the Irish sense of humour took over and soon there were reports from many loughs, even ones only as deep as pond. The Lough Rea case was possibly a large pike or an eel, but nothing has been heard of this for many years. The credulous imagination soon began to work overtime and there were suggestions as to its identity. A plesiosaur! This was a large reptile of the dinosaur era and claims were made that a family of them were dwelling in Loch Ness. The arguments against this theory are so strong that no one seriously holds it. Plesiosaurs were reptiles, a class of creature that lays eggs on land, so for the family to survive they would have to come ashore to nest, and there are no plesiosaur nests on the banks of the loch. Secondly, all reptiles are cold blooded and cannot take cold water. Plesiosaurs were dwellers in shallow tropical lagoons where water warms quickly, not cold, dark lakes in northern climes. The plesiosaur theory is as extinct as the plesiosaurs. Alien buffs can always be relied on to come up with fanciful theory, and on the fringe of discussion we had characters who thought that it had somehow been left behind by aliens. Evidence? Zero. Stories from Celtic myth of kelpies, water horses that drag people into their lacustrine lairs occasionally emerge, but the kelpie is mythical. I think that we can relegate these theories to the dustbin. The principle is that we should not resort to postulating a new kind of creature until we are certain that known kinds cannot explain the appearance. The first candidate is an eel. Eels can grow large if well fed. However, it is a fact of eel life that only females come to freshwater. 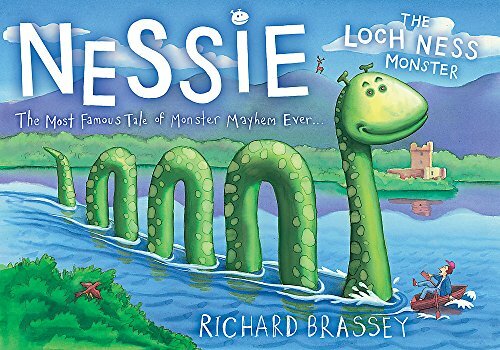 If Nessie were an eel she would have to migrate to the Sargasso Sea to breed, and there is no evidence of such a migration down the shallow and canalized waterways that flow through the Great Glen. A conger eel does not migrate the Sargasso, so a conger is a possibility. 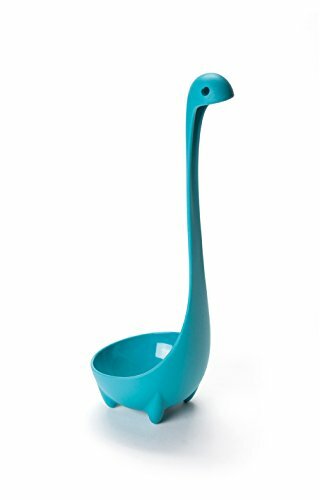 It would certainly meet some of the size requirements for Nessie. But a small interbreeding family would soon become genetically challenged and the gene pool could weaken, unless new blood entered the line. While there have been reports of eels in the loch, there is no report that suggests a large one. Yet eels have swim bladder that allows them to dive more quickly than most other fish can. This would explain soundings from the loch's bed, but why would the fish want to go to the bed where there is no food? The case for eels is credible, but not proven. Sturgeon is the next candidate. These fish can grow to huge size and used to be common in Scottish lakes, until they were presumed extinct through over-fishing. Sturgeon makes a good candidate for Nessie, but there is not whiff of evidence for the species' survival in Scotland. The final candidate is the Wels Catfish, according to Steve Feltham, a Loch Ness Monster researcher. This can grow to about four metres long, which would explain the broad back seen occasionally by anglers. This species is not native to Scotland but was introduced to the loch in the nineteenth century for sport angling. Sportsmen would test themselves against this powerful and aggressive beast. But here is the complication. In 1914 the landowning classes of Britain, who practised sport fishing, went off to war, and many were killed. During the war years the fish were allowed to grow unmolested, and afterwards there were fewer fishermen to angle for them. This would create the opportunity for some of them to grow to large size, hence the monster sightings. The catfish theory has another advantage. While scientists have pondered how the known biomass of the loch could feed a large creature, for there are insufficient migratory fish to feed a carnivore, cat fish are omnivores. They can devour vegetable material and so could sustain themselves where carnivores could not. It seems to me that the catfish theory, only just proposed by Feltham, is the one that best explains the phenomena of this mysterious loch. I have looked up the latest findings, and I am surprised at the depth of the trench. What the report said is that a sonar detector revealed a very deep trench at the bottom of the loch, in which he spotted a large hump backed object. On a later scan this object had moved, and he believes that this indicates that it is animate, though we cannot be certain. The trench is named Keith's Abyss or Keith's Crevice. Interestingly is near Urquart Castle where most sitings have been made. Keith's Abyss is twice as deep as the North Sea, so the possibiilty of a tunnel from it to this sea is unlikely. What would cause such a tunnel to exist is a mystery. 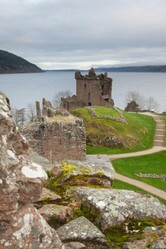 have you seen today's news about Loch Ness and the monster. Very interesting . I am still open minded having been there. I would never dismiss it. If you search for ''plesiosaurs on ice'' you will find a very interesting article on the purported survival of reptiles at low temperatures. There is also this to consider: if plesiosaurs survived into modern times where have they been? Certainly not Loch Ness (which is only 30 miles from my home by the way!) for that loch didn't form (as a loch) until about 12,000 years ago. It is indeed a puzzle! This is interesting and is certainly relevant. I still reject the plesiosaur theory because reptiles are cold blooded and so need to warm their bodies from the sun's heat. Not only is Scotland cold, but the waters of Loch Ness are very cold, so I cannot see a plesiosaur surviving there, and anyway, the Loch was ice covered for thousands of years during the Ice Ages, so the survival of any creatures there seems unlikely. Latest research indicates that plesiosaurs weren't egglayers - they bore live young - so I still consider it a possibility! Thank you Carly. I note that you are new to Wizzley. It is good to have you here and I look forward to reading your work. Fascinating article. I enjoyed the various theories, some of which I have never heard before! Veronica stated that some parts of the Loch are deeper than the North Sea. This is true of the North side, which can reach a thousand feet deep, maybe more, far deeper than the North Sea. This is because it is in a trapdoor fault in the Earth's crust. However, the rivers linking it to the sea are normal depth.